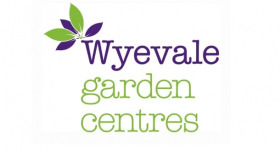 Wyevale Garden Centres (WGC), has announced the sale of two of its centres. Wellingborough has been sold to Higgins Landscape and Garden Centres Limited (part of Higgins Building Supplies Limited), and Wolds View to Woodthorpe Hall Centres Limited. Both buyers have expressed delighted by the opportunity to expand its existing businesses and will continue to operate these sites as garden centres. Christie & Co, the specialist business property advisor managing the sale process on behalf of WGC, have run a two phase process that has achieved considerable interest from a wide variety of buyers. The opportunity to run one, a small group or a portfolio of garden centres has ignited interest within the sector and beyond, and Christie & Co continue to liaise with phase two bidders as the process continues.